I have to say the December 15th luncheon of the Best Southwest Partnership of the Chambers of Commerce of Southern Dallas County and parts of Ellis County has turned into my highlight of the second half of 2016. Not only was I able to renew old friendships with many of the mayors and business leaders from the area, I was able to learn what is being done now to enhance the partnership. 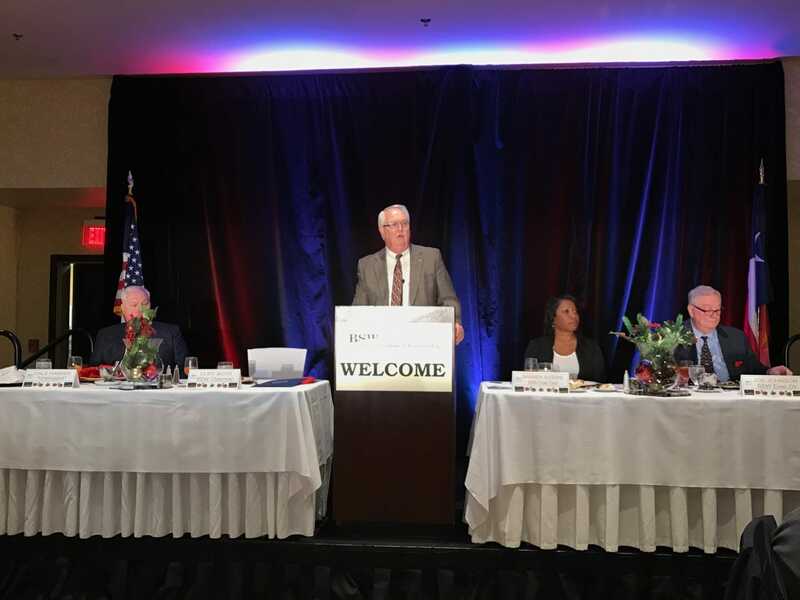 The luncheon began with former Duncanville Mayor and current Best Southwest Partnership Chairman Cliff Boyd discussing the activities of the year and the achievements and growth enjoyed by Best Southwest area communities. Of particular note for me was the introduction of Steve Smith, who came to me at the Dallas Times Herald back in 1986 to discuss banding together the Chambers of Commerce of the four cities of Duncanville, DeSoto, Cedar Hill and Lancaster for the betterment of the citizens and businesses in the area. 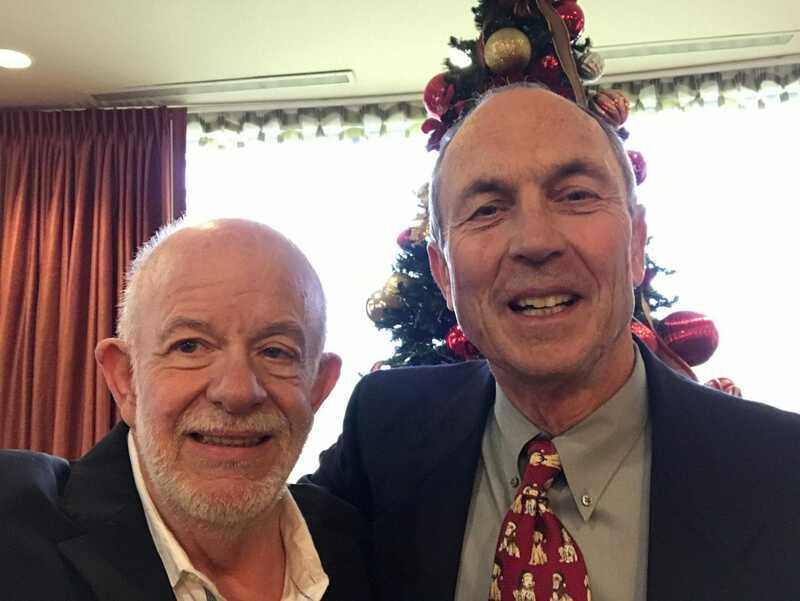 Reconnecting with Steve Smith made today’s Best Southwest luncheon the Best I have attended in 30 years! Steve and I worked together back then when I was still with the Dallas Times Herald publishing the Community Close-up newspapers for them in eleven different suburbs of Dallas. We worked with the Duncanville, DeSoto, Cedar Hill and Lancaster Chambers of Commerce to create a partnership that was to grow exponentially since then. Steve served as the original Executive Director of the group as well as chairing Leadership Southwest. He is now serving as the Interim Director of the Cedar Hill Chamber. His devotion to the area never ceases! While we spoke with each other Thursday, we reminisced that we are among the only remaining “planning fathers” of the organization, and how much fun, as well as hard work, it was back in those days. The chambers, along with the cooperation of the mayors and city leaders at the time had agreed to meet on a regular basis to exchange ideas for community betterment. In 1990, the group was recognized by the State of Texas as a non-profit organization. It was officially named the Best Southwest Chamber of Commerce for Economic Development. By 2012, it had assumed the working name “The Best Southwest Partnership.” It then expanded to include other neighboring cities with a like interest in promoting the benefits of the area. Today, the expansion includes 12 cities in Southern Dallas and Northern Ellis County. Other joining partners now include 18 hospitals, colleges and universities, banks, utilities and others who are all invested in improving the quality of life in the region. The City of Balch Springs, the City of Glenn Heights, the City of Ovilla, the City of Ferris, the City of Hutchins and the City of Midlothian have become Associate and Community Partners. Access Self Storage, Cedar Valley College, Frost Bank, Hillside Village, Oncor, Atmos Energy, the Bank of DeSoto, Cigna, and Methodist Charleton Medical Center, and the University of North Texas, Dallas are business participants in the partnership. The Keynote Speaker for the event was Ellis Country resident and Channel 8, WFAA, sportscaster Dale Hansen. Hansen has been named Sportscaster of the Year on two different occasions by the Associated Press, Texas Sportscaster of the Year on three occasions by the National Sportscasters and Sportswriters Association, Best Sportscaster by UPI and the Dallas Press Club, and TV Personality of the Year by the American Women in Radio and Television. Early in his career, he was awarded Best Investigative Report accolades by the Iowa Associated Press. After incoming Chairman of the Partnership, Maranda Auzenne, General Manager of Hillside Village Shopping Center in Cedar Hill introduced Hansen, he proceeded to delight attendees with both humorous and insightful quips about the area, the economy and the state of our nation. He began by detailing how he was told he “had” to live in north Dallas when he came to the area and how he chose the southern sector because of the more favorable lifestyle offered south of the Trinity. 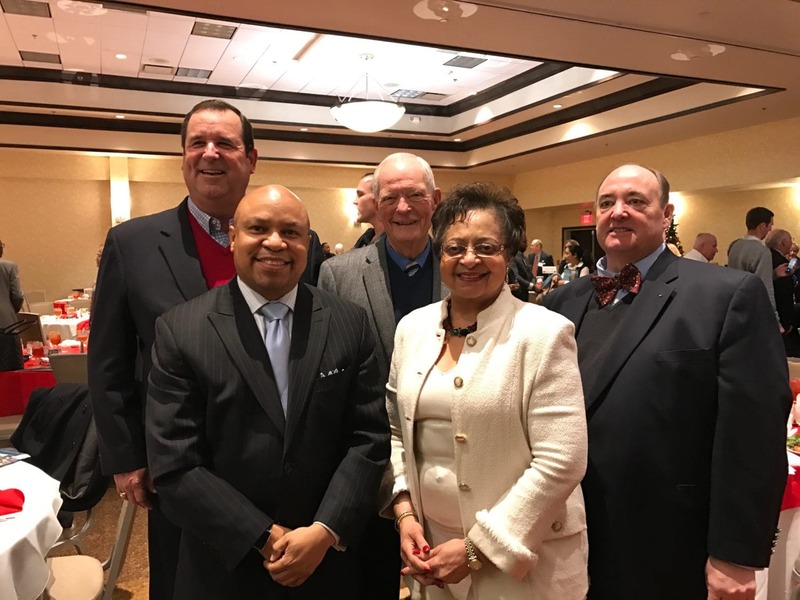 Five Current and Past DeSoto Mayors attended the Best Southwest Partnership Luncheon. Pictured from left are Richard Rozier, Carl Sherman, Bobby Waddle, Curtistene McCowan and Michael Hurtt. They, of course, completely understand why many notable celebrities, such as Dale Hansen, have chosen to live in the southern communities of the metroplex. Past Chairmen of the Best Southwest Partnership include: W.W Permenter (1985-87), Edwin Hopkins (1988), Larry Mims (1989) Larry Shaw (1990), Joe Gandy (1991), Clem Lear (1992), Peter Geisler (1993), Michael Hurtt (1994), David Vedral (1995), Christy Hamman (1996), Carol Spencer (1997), Dan Eddy (1998), Monte Anderson (1999), Richard Rozier (2000), Steve Morgan (2001), Rudy Oeftering (2002), Joe Tillotson (2003), Rob Franke (2004), Kent Cagle (2005), Amanda Hinton (2006), Carl Sherman (2007), Fred Orr (2008), David Green (2009), Wade Emmert (2010), Kenneth Govan (2011), Marcus Knight (2012), Dr. Kevin Fegan (2013), Grant Galliford (2014), Dr. Alfed Ray (2015), Cliff Boyd (2016) and coming in 2017 Maranda Auzenne.